From Kalamata we headed south down the coast and then over the hills to Gythio. 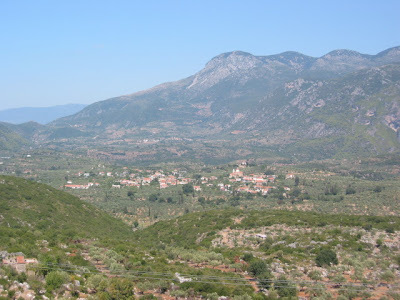 En route we passed through Kardamyli, an idyllic pelopennese village. 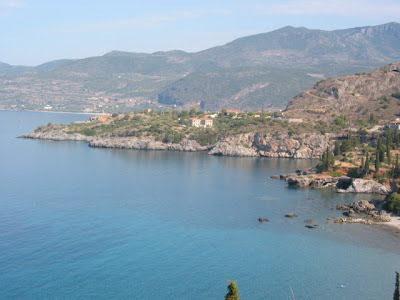 We fell in love with Kardamyli, it is quite an unspoilt (untouristed) part of Greece. 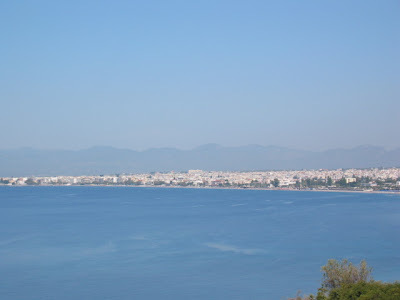 The first picture is of the town of Kalamata. 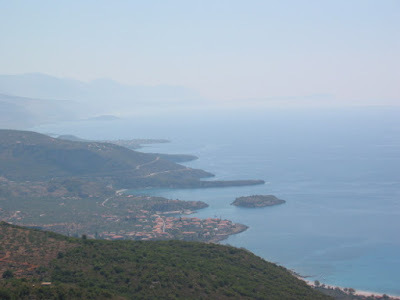 From there we climbed a rather large hill, where we passed through a small village (second picture), at the crest of the climb we had this awesome view of Kardamyli (we also had a great feed of water melon kindly provided by a bus load of German tourists). 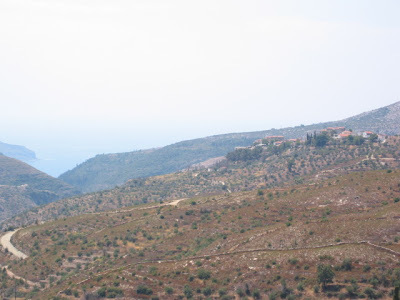 The 4th picture is the view of the coast south of Kardamyli. 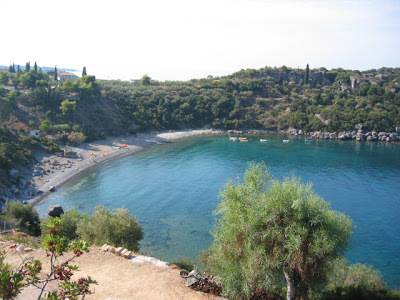 The next is of a small bay (near Stoupa) right by our campground - the water here was awesome!!! 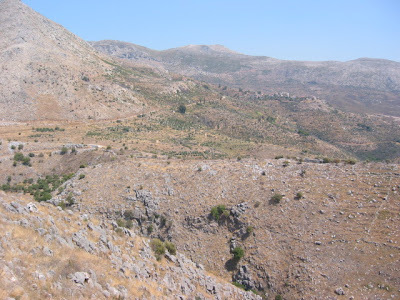 Finally the last two pictures are of the barren hills on a big climbing day from Kardamyli to Gythio, we rode up through the smalll village pictured and the next photo is of the same small village after we had passed it. Days 86-90: On our own again!